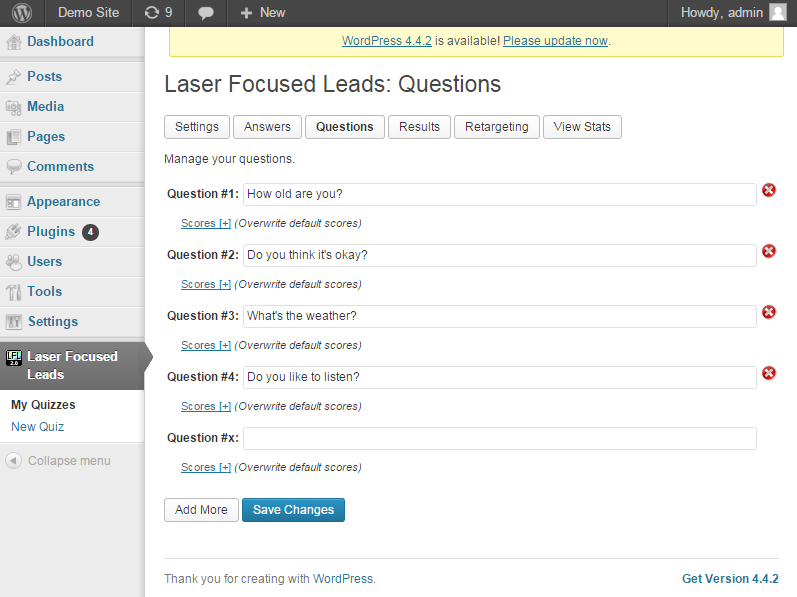 Turn quiz takers into leads and sales. 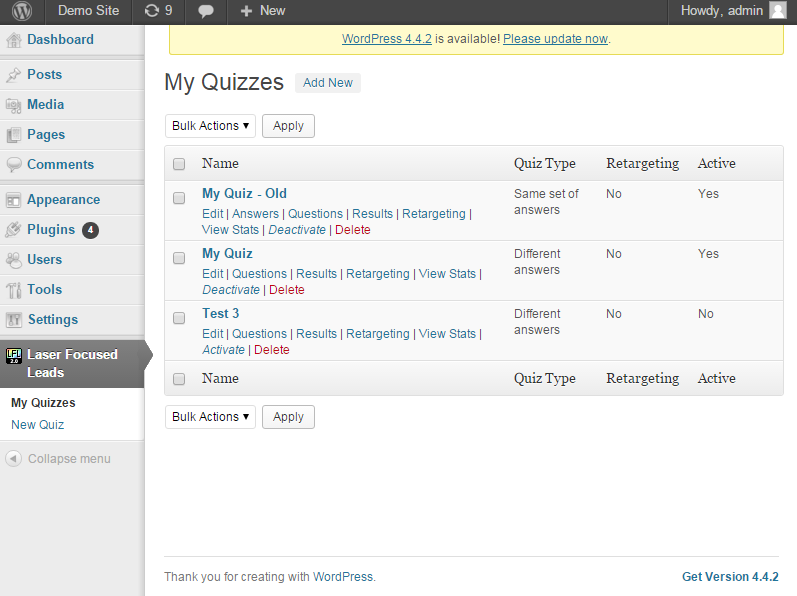 Powerful plugin that makes it very easy to create a quiz and automatically segment your traffic. The main idea is to create a quiz that will automatically segment traffic between different lists and redirect the traffic to offers based on their interest (quiz score). To see the quiz results the visitor has to sign up to the users list. 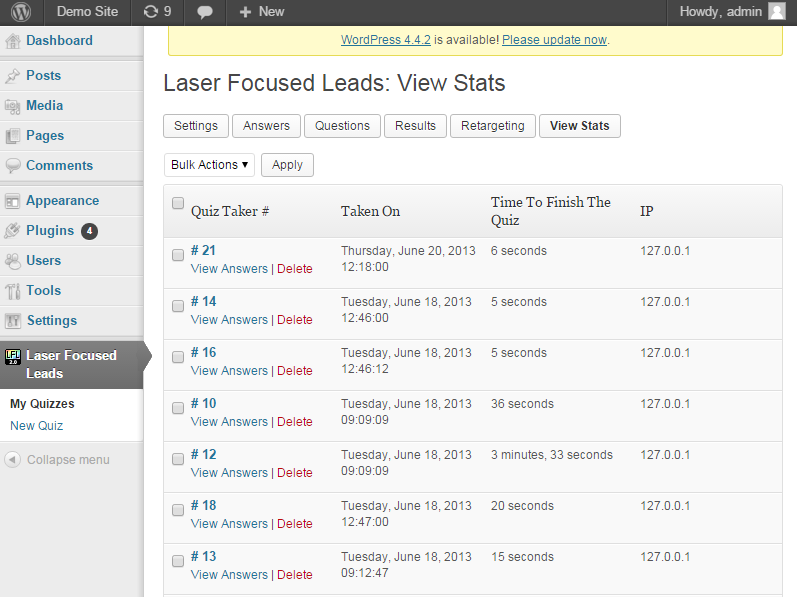 The user can have a unlimited number of quizzes. Each quiz has a bunch of questions and each answer adds a number to the total score. Based on the total score it's possible to create groups that show different results and opt-in forms. Very powerful lead generation tool.